Fareskind simplifies life for today's parents and makes every trip a happy comfy cozy ride for baby. From 0 - 4 years old, luxuriate your baby's ride with the Comfy Cruiser. for use with car seats, strollers and joggers, it makes on the go with baby easier neater faster and better. It eliminates the need for over-bundling, because its ThermoTECH insulation protects against wind and cold winter weather with just the right cushion and comfort, so it's always a smooth ride for baby. Because safety is important, this product allows the safety strap to rest directly and comfortably on your child. It is USA and Swiss Oeko tex approved for infant and baby use. 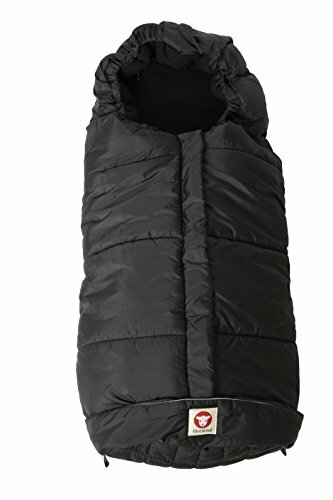 Versatile and durable for years, it is machine washable, features a clean postured and soft compact shape with a fully adjustable hoodie, front zipper and Velcro closure plus a removable bottom to allow temperature control, seasonal looks and babies growth. This means ONE HAPPY BABY. If you have any questions about this product by Fareskind, contact us by completing and submitting the form below. If you are looking for a specif part number, please include it with your message.